The idea of the Gaart Belval come about on an autumn Sunday in 2016. I was at the LökoBrunch at Mesa in Esch, and discussed with Norry the new Campus in Belval, and what it may mean for Esch and the Transition Movement in general. We agreed that with the move of the University, a whole lot of new energy was coming to the Minett region, while at the same time a whole lot of new foreign people would be looking to ways to integrate in the local community. At first, I was skeptical about Norry’s idea of initiating a garden in Belval, as I just learned about the problem of the big move, and the urban planning problems in Belval. Nonetheless, we decided to give it a shot. For some time nothing really happened, as there was no community around which to build a garden, and the university’s administration couldn’t help since it does not own any property itself. Finally, the breakthrough by chance over beers in the Ökosoph in Luxemburg. 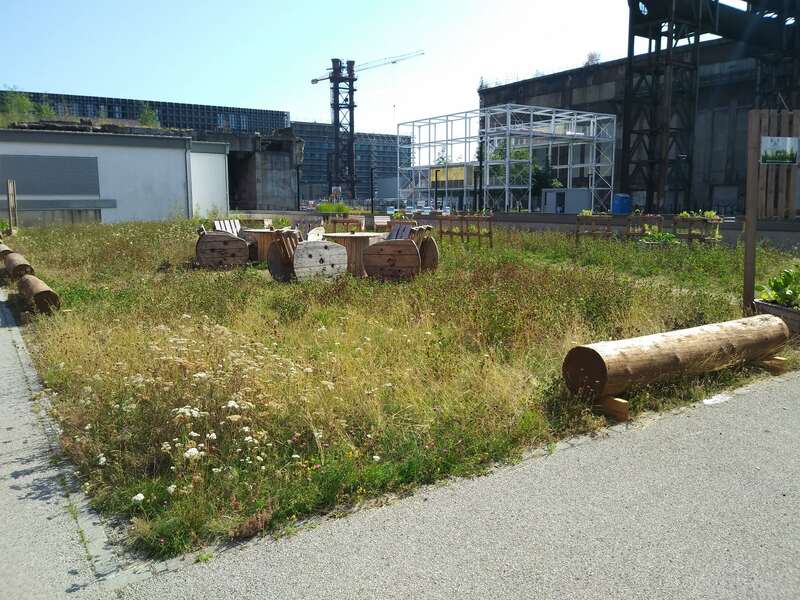 I was sitting together with some people from the Mouvement Ecologique and mentioned that there was this idea about a garden in Belval, but that I didn’t know how to go about it. Incidentally, Fränz Hengen, a longtime member of the green movement in the south of Luxembourg suggested that getting in contact with people would be the easiest thing – he would know people. Two weeks later, we had a meeting with representatives from Agora and the CIGL in Esch to discuss about a possible spot. In the meantime, I had put up posters at the university to promote the “Garden coming to Belval”, even though neither the garden, nor the community existed. Finally, our negotiations with Agora did not work out as planned. However, meanwhile a local community of workers, residents and students had formed, and did not want to give the project up. Via CIGL Esch, we had gotten in contact with Mr. Kox of the municipality in Esch, who offered us the spot between the cafeteria, the red building, and the new library. We were excited about the idea, as this one is ideally positioned. Finally, in summer 2018, after months of ups and downs, the first elements were delivered by CIGL Esch, after all parties involved finally found a common ground. 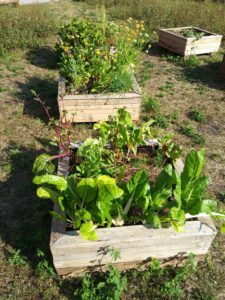 Unfortunately, it happened during the worst possible moment to start a garden in Belval: the weak before the break of the hottest and driest summer in a long time. However, thanks to the help of the BIL and Inowai, kindly giving us access to their extinguishing water outlets, and by that saving us kilometers of water carrying, we were able to harvest the first plants in the following August.